Hey so I need feedback to make sure the puzzles make sense and the menus are not too confusing. 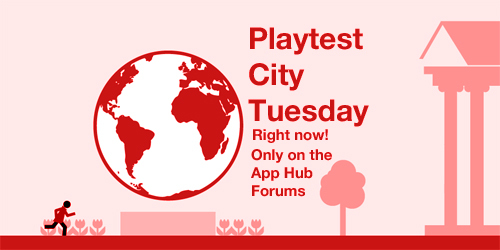 If you have an app hub membership you can download the code from the City Tuesday AppHub forum post. You should probably provide feedback right there in the forum of course you could just send me an email at my address in the about section.